This website is offered by The Life and Annuity Shop, LLC and its related and/or affiliated entities (collectively, “Life and Annuity Shop”) to the users conditioned upon your acceptance, without modification, of the terms, conditions, and notices contained herein. Your use of this website and its various web pages constitutes your acceptance and agreement to all terms, conditions, and notices. This Legal Notice applies to this website. Please read the following terms and conditions carefully before using this website. You should review these terms and conditions regularly as they may change at any time in our sole discretion. In the event you do not agree to any term, condition, or notice contained herein, you are not permitted to use the LIFE AND ANNUITY SHOP website in any capacity or fashion and you must discontinue all use immediately. UNDER NO CIRCUMSTANCES SHALL ANNUITY SHOPPE BE LIABLE FOR ANY DIRECT OR INDIRECT, SPECIAL, PUNITIVE, INCIDENTAL, OR CONSEQUENTIAL DAMAGES, OR ANY DAMAGES WHATSOEVER, THAT MAY ARISE FROM OR RELATE TO YOUR USE OF, OR INABILITY TO USE, THIS WEBSITE. Some jurisdictions do not allow the exclusion or limitation of liability for consequential or incidental damages. In such jurisdictions, to the maximum extent permitted by law, LIFE AND ANNUITY SHOP’S liability is limited to the minimum amount of liability that is permitted. ANNUITY SHOPPE WILL NOT BE LIABLE IN ANY WAY ARISING OUT OF THE USE OF OR INABILITY TO USE THE ANNUITY SHOPPE WEBSITE, WHETHER BASED ON CONTRACT, TORT, NEGLIGENCE, STRICT LIABILITY OR OTHERWISE, EVEN IF ANNUITY SHOPPE HAS BEEN ADVISED OF THE POSSIBILITY OF DAMAGES, TO THE EXTENT PERMITTED BY LAW. IF YOU ARE DISSATISFIED WITH ANY PORTION OF THE ANNUITY SHOPPE WEBSITE, OR WITH ANY OF THESE TERMS OR CONDITIONS OF USE, YOUR SOLE AND EXCLUSIVE REMEDY IS TO DISCONTINUE USING THE ANNUITY SHOPPE WEBSITE. Under no circumstance will LIFE AND ANNUITY SHOP be liable for damages of any kind related to the use of this website, including, without limitation, any lost profits, business interruption, loss of use, loss of programs or data on your equipment, or otherwise, even if we are expressly advised of the possibility or likelihood of such damages. The information and other material contained on, included in, or available through this website may contain inaccuracies or typographical errors. Information may be changed or updated without notice. Information on this website is updated periodically and some information presented may not be current. LIFE AND ANNUITY SHOP has no obligation to update the information presented on this website. LIFE AND ANNUITY SHOP reserves the right to change the website and website content at any time in its sole discretion. LIFE AND ANNUITY SHOP shall not be liable for the use of the website, including but not limited to, the content and any errors or omissions contained herein. You acknowledge that your reliance upon any information or content in this website shall be at your sole risk. NOTHING ON THIS WEBSITE CONSTITUTES ADVICE OF ANY KIND. THE CONTENT AND MATERIAL ON THE ANNUITY SHOPPE WEBSITE SHOULD NOT BE RELIED UPON FOR PERSONAL, MEDICAL, LEGAL, FINANCIAL, INVESTMENT, OR OTHER DECISIONS AND YOU SHOULD CONSULT AN APPROPRIATE PROFESSIONAL FOR SPECIFIC ADVICE TAILORED TO YOUR SITUATION. LIFE AND ANNUITY SHOP AND/OR ITS INSURANCE PARTNERS MAKE NO REPRESENTATIONS ABOUT THE SUITABILITY, RELIABILITY, AVAILABILITY, TIMELINESS, OR ACCURACY OF THE INFORMATION, SOFTWARE, PRODUCTS, SERVICES, AND RELATED GRAPHICS CONTAINED ON THE ANNUITY SHOPPE WEBSITE FOR ANY PURPOSE. For and in consideration of the use of the LIFE AND ANNUITY SHOP website, the user(s) hereby remise, release, and forever discharge LIFE AND ANNUITY SHOP and its respective agents, officers, attorneys, directors, shareholders, partners, employees, successors, assigns, sibling companies, parent companies, and affiliated companies of and from any and all, and all manner of, action and actions, cause and causes of action, claims, suits, debts, breaches of fiduciary duty, other breaches, notes, dues, sums of money, accounts, reckonings, undertakings, bonds, bills, specialties, covenants, contracts, controversies, agreements, guarantees, indemnifications, promises, liens, variances, trespasses, damages, attorneys’ fees, judgments, taxes, interest, penalties, assessments, extents, executions, expenses, claims, demands, and liabilities whatsoever, of every kind and nature, whether or not well-founded in fact or in law, whether known or unknown, whether continent or not contingent, and whether in law or equity or otherwise, which the user ever had, now have, or can, shall, or may have, for or by reason of, arising from, or relating in any way to the LIFE AND ANNUITY SHOP website, the content of the LIFE AND ANNUITY SHOP website, and/or the use of the LIFE AND ANNUITY SHOP website, regardless of when such claim arose or accrued. You agree that no joint venture, partnership, employment, or agency relationship exists between you and LIFE AND ANNUITY SHOP as a result of use of the LIFE AND ANNUITY SHOP website. Upload files that contain viruses, corrupted files, or any other similar software or programs that may damage the operation of another’s computer or system. LIFE AND ANNUITY SHOP has no obligation to monitor the Communication Services. However, LIFE AND ANNUITY SHOP reserves the right to review materials posted to a Communication Service and to remove any materials in its sole discretion and without notice. LIFE AND ANNUITY SHOP reserves the right to terminate your access to any or all of the Communication Services at any time without notice for any reason whatsoever. LIFE AND ANNUITY SHOP reserves the right at all times to disclose any information as necessary to satisfy any applicable law, regulation, legal process or governmental request, or to edit, refuse to post, or to remove any information or materials, in whole or in part, in LIFE AND ANNUITY SHOP’S sole discretion. Always use caution when giving out any personally identifying information about yourself or your relatives in any Communication Service. LIFE AND ANNUITY SHOP does not control or endorse the content, messages, or information found in any Communication Service and, therefore, LIFE AND ANNUITY SHOP specifically disclaims any liability with regard to the Communication Services and any actions resulting from your participation in any Communication Service. Managers and hosts are not authorized LIFE AND ANNUITY SHOP spokespersons, and their views do not necessarily reflect those of LIFE AND ANNUITY SHOP. Use of the LIFE AND ANNUITY SHOP website is unauthorized in any jurisdiction that does not give effect to all provisions of the terms and conditions contained in this Legal Notice and on the LIFE AND ANNUITY SHOP website. LIFE AND ANNUITY SHOP is the owner of all of LIFE AND ANNUITY SHOP’S text contained on this website. You may print a copy of the information contained herein for your personal use; however, you may not reproduce or distribute the text or graphics contained on this website to others or substantially copy the information on your own server, or link to this website, without the prior written permission of LIFE AND ANNUITY SHOP You may request permission by contacting LIFE AND ANNUITY SHOP. LIFE AND ANNUITY SHOP does not claim ownership of the materials you provide to LIFE AND ANNUITY SHOP (including feedback and suggestions) or post, upload, input, or submit to the LIFE AND ANNUITY SHOP website or its associated services (collectively “Submissions”). However, by posting, uploading, inputting, providing, or submitting your Submissions, you are granting LIFE AND ANNUITY SHOP, its affiliated companies, and necessary sublicensees permission to use your Submissions in connection with the operation of their Internet businesses including, without limitation, the rights to: copy, distribute, transmit, publicly display, publicly perform, reproduce, edit, translate, and reformat your Submissions; and to publish your name in connection with your Submissions. No compensation of any kind will be paid with respect to the use of your Submissions, as provided herein. LIFE AND ANNUITY SHOP is under no obligation to post or use any Submissions you may provide and may remove any Submissions at any time in LIFE AND ANNUITY SHOP’S sole discretion. Other parties’ trademarks, copyrights and services marks that may be referred to are the property of their respective owners. The names of companies and their products or services mentioned herein may be the trademarks of their respective owners. Nothing on this website should be construed as granting, by implication, waiver, estoppel, or otherwise, any license or right to use any trademark without the owner’s written permission. Neither the name of LIFE AND ANNUITY SHOP nor our logos may be used in any way, including in advertising or publicity pertaining to distribution of materials on this website, without prior written permission from LIFE AND ANNUITY SHOP You are not authorized to use our logos as a hyperlink to this website unless you obtain our written permission in advance. Any rights not expressly granted herein are reserved. Nothing on this website constitutes investment advice. In addition, our website content does not constitute an offer to sell or solicitation of any insurance product. No product offered by ANNUITY SHOPPE is offered or will be sold in any jurisdiction in which such offer or solicitation, purchase or sale would be unlawful under the securities law or other laws of such jurisdiction. No such security is offered or will be sold in any jurisdiction by an entity which is not properly licensed to do so in such jurisdiction. Your use of this website and the information contained therein constitutes your agreement to use any information obtained in connection with such use solely for the purposes intended by LIFE AND ANNUITY SHOP, and to not alter or distribute such information for any purpose without the express written consent of LIFE AND ANNUITY SHOP. As a condition of your use of the LIFE AND ANNUITY SHOP website, you warrant to LIFE AND ANNUITY SHOP that you will not use the LIFE AND ANNUITY SHOP website for any purpose that is unlawful or prohibited by these terms, conditions, and notices. You may not use the LIFE AND ANNUITY SHOP website in any manner which could damage, disable, overburden, or impair the LIFE AND ANNUITY SHOP website or interfere with any other party’s use and enjoyment of the LIFE AND ANNUITY SHOP website. You may not obtain or attempt to obtain any materials or information through any means not intentionally made available or provided for through the LIFE AND ANNUITY SHOP website. LIFE AND ANNUITY SHOP reserves the right, in its sole discretion, to terminate your access to the LIFE AND ANNUITY SHOP website and the related services or any portion thereof at any time, without notice. Although LIFE AND ANNUITY SHOP has made efforts to ensure that the contents of this website are correct and complete, LIFE AND ANNUITY SHOP cannot be responsible for the accuracy of information contained herein. 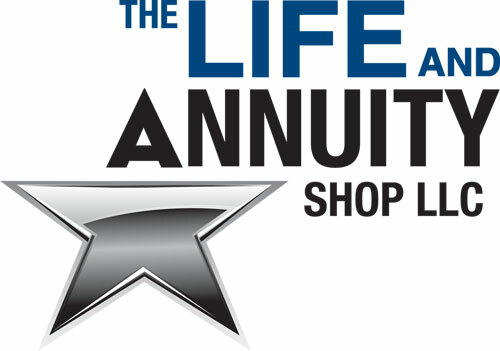 Please contact an LIFE AND ANNUITY SHOP representative for the most current information available. To the maximum extent permitted by law, use of this website will be governed by and construed in accordance with the law of the State of Florida. Any dispute, legal action, lawsuit, or proceeding arising out of and/or relating to the LIFE AND ANNUITY SHOP website or the use of this website shall be brought solely and exclusively in Pinellas County, Florida or the Middle District of Florida. You hereby consent to exclusive personal jurisdiction and venue in the courts of Pinellas County, Florida for any such dispute, legal action, lawsuit, or proceeding. You acknowledge that your use of this website constitutes substantial, continuous, and systematic contacts with the State of Florida and that you are purposefully availing yourself of the benefits and privileges of conducting activities within the State of Florida through your use of this website for purposes of claims related to this website and the use of this website. LIFE AND ANNUITY SHOP reserves the right to change the terms and conditions applicable to this website at any time with or without notice in its sole discretion. LIFE AND ANNUITY SHOP does not warrant that access to ANNUITY SHOPPE’s website or any of its pages will be uninterrupted or error-free. Nothing contained herein is in derogation of LIFE AND ANNUITY SHOP’S right to comply with governmental, court and law enforcement requests or requirements relating to your use of the LIFE AND ANNUITY SHOP website or information provided to or gathered by LIFE AND ANNUITY SHOP with respect to such use. Unless otherwise specified herein, this agreement constitutes and contains the entire agreement between the user and LIFE AND ANNUITY SHOP with respect to the LIFE AND ANNUITY SHOP website and as to the subject matter hereof, and it supersedes or subsumes all prior or contemporaneous communications and proposals, whether electronic, oral or written, between the user and LIFE AND ANNUITY SHOP with respect to the LIFE AND ANNUITY SHOP website. The terms of this Legal Notice shall not and cannot be altered, amended, modified, or otherwise changed in any respect, except by the means of a written instrument signed by an authorized LIFE AND ANNUITY SHOP representative. A printed version of this Legal Notice and of any notice given in electronic form shall be admissible in judicial or administrative proceedings based upon or relating to the use of the LIFE AND ANNUITY SHOP website and/or this Legal Notice.